A couple of weeks ago I had the incredible privilege and opportunity of photographing a beautiful young African couple on their wedding day, actually wedding days. 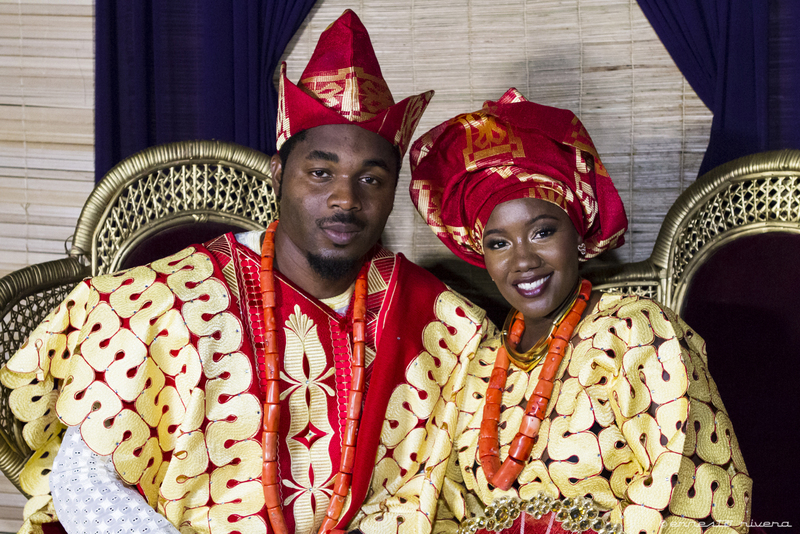 It was two events performed over two days: the first was the traditional African wedding ceremony on a Friday night and then the religious wedding ceremony the following day. I come from a culture where we did not take being on time very seriously (and still don’t) but even so, I was not prepared for how late the traditional ceremony was. What was really funny was the fact that when I arrived at the venue at 4:00 PM as agreed, the videographer for the event arrived about the same time and he asked me if I had ever covered and African event; I said No, I have not, and then he proceeded to tell me that he himself was African and that in his estimate, the ceremony would not start until about 8:00PM. He was off by 30 minutes; the ceremony did not start until 8:30PM! But how much fun it was! I am sorry if someone objects to this post’s picture but since the blog is mostly about photography, I thought it would be OK to share it. We had beautiful weather this past weekend here in Maryland after some rain showers the previous days and I thought I’d go to Seneca Creek State Park hunting for nice fungi to photograph. No sooner I had started walking one of the trails when something caught my eye about 50 feet from the trail; I could make up that it was a hawk but I was intrigued about what it seemed to have in its claws. As quietly as possible I changed my camera lens from a standard focal length to telephoto and when I looked through the viewfinder I realized that what it had was a squirrel. It was still too far away to fill the entire frame of my camera with the picture so I advanced slowly, one step at a time, towards it making sure that with each step I shot a picture until I was able to fill the frame and I took the shot posted here. 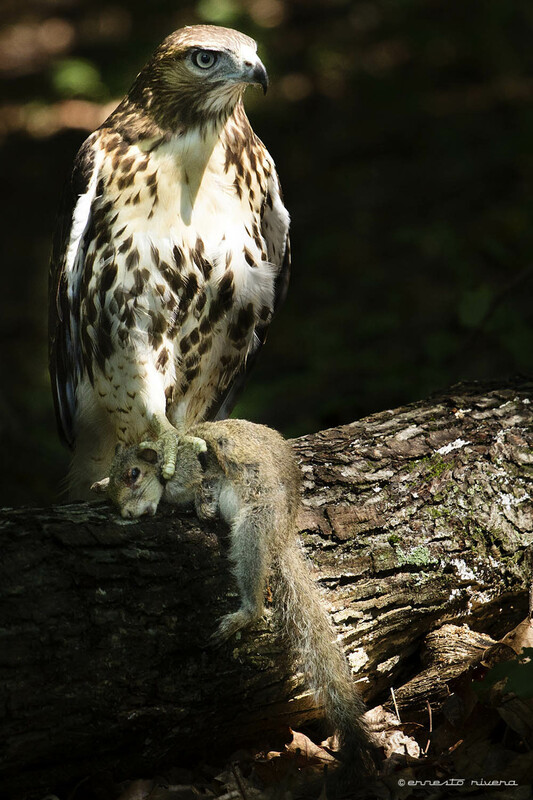 Soon enough someone came along with two dogs and the hawk got scared and flew away with its prey in its claws. Not a lot of fungi to photograph but I found one tree that had some very delicate, white ones. When the wind moved the trees a bit of sunlight illuminated the background of some of the fungi giving them a golden color. Here they are.